There have been many names circulated as potential choices for the Phils with the first pick in the 2016 MLB Draft. Florida pitcher A.J. Puk, NJ prep phenom Jason Groome, Mercer outfielder Kyle Lewis, and high school bat Mickey Moniak tend to get thrown around most frequently. Each of those players is fine, though it seems that last night a true leader of the pack has emerged. 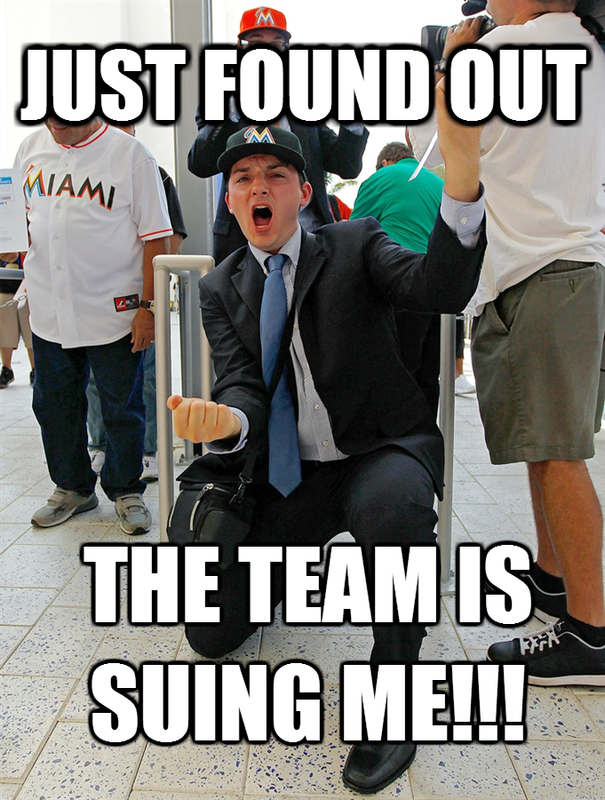 One of my favorite recurring characters over the life of the bolg has been Super Pumped Marlins Fan Guy ("SPMFG") - he's actually even become our Twitter friend. But times have turned hard for SPMFG, beyond just having to root for a team that literally has zero business being a part of Major League Baseball. Like srsly MLB how are you even letting this crap show of a franchise happen nobody likes them and nobody goes to their games and they ripped off the taxpayers to build the dumbest ballpark ever and their owner is a scumbag and the one dork was voted out of Survivor the first week and YOU ALREADY NEED TO BRING BACK THE EXPOS!